You work hard to grow income so you can comfortably retire. Make sure you work with the right retirement plan administrator that can enable you to meet your goals. 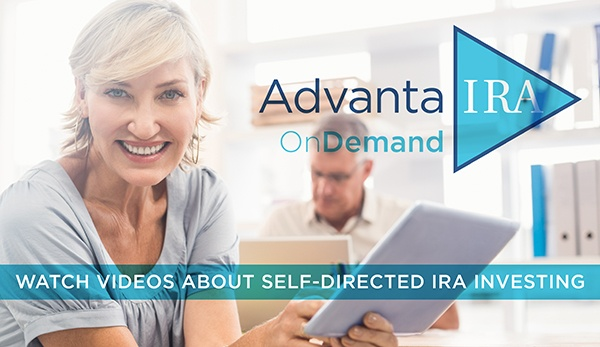 With over $1 billion in client assets under management, Advanta IRA is a leading self-directed retirement plan administrator that serves clients across the nation. We provide unparalleled service to clients who choose to achieve diversity in their plans by investing in alternative assets using self-directed IRAs and similar plans. The typical retirement plan custodian restricts their clients’ investments to traditional stocks, bonds and mutual funds—assets that they sell and oversee. Clients of Advanta IRA actively participate in building their retirement income using The Advanta IRA® and other self-directed plans. They control their own retirement funds. They have the freedom to choose their own investments. And, our clients trust us to provide impeccable services to their accounts while they focus on investing in what they know best to reach their goals. Advanta IRA does not sell investments or make a commission on investments in our clients’ plans. We do not give investment or financial advice. Clients are free to choose investments based on their own knowledge and expertise—having the power to control their retirement destiny. Advanta IRA has been providing self-directed IRA services for over fifteen years. We ensure all elements of the administration of your self-directed IRA are performed properly and in compliance with Internal Revenue Service rules and regulations. We file reports on your behalf, issue statements and help you follow contribution limits and permissible transaction guidelines. You are able to focus on the more important task of identifying promising investments to add to your portfolio. Ready to start taking advantage of tax-deferred or tax-free investment opportunities?